Some friends came over last night and they brought a bottle of Crown Royal. 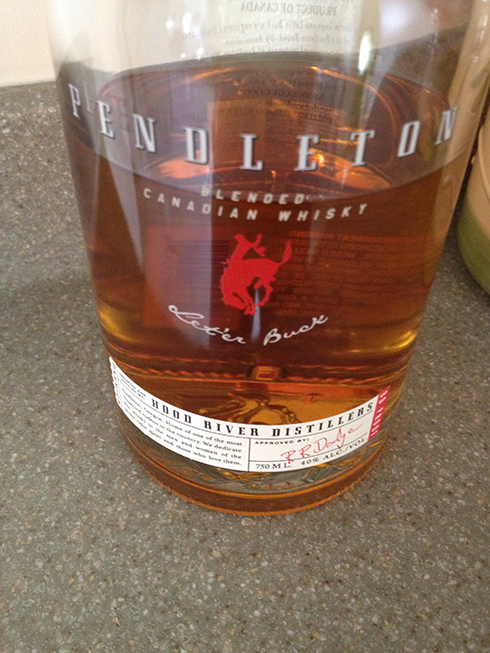 But instead of it being the standard, it was the new Maple Finished blend. I got excited as I’ve seen the ads from Crown Royal’s Facebook page. So I got out the drinking glasses and cracked open the bottle. The first hint you get that this is different is when you first twist off the cap. It’s got a heavy maple scent to it. 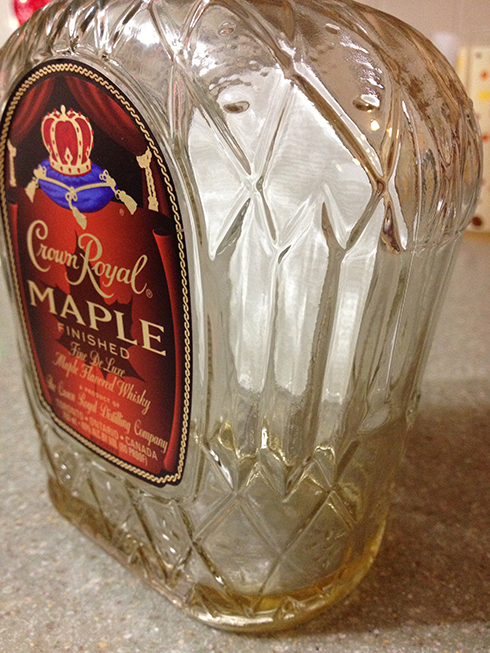 Nothing else hits you first, unlike the other blends of Crown Royal. It’s 80 proof, so the alcoholic strength is the same as regular Crown. Pouring this is a bit thicker consistency. Sugary is one of the main highlights that comes up when you sip this straight, as compared to other Crown varieties, which are focused on the aging of the whisky. The maple is very evident. But yet it’s not overly strong. A nice balance, for the most part. 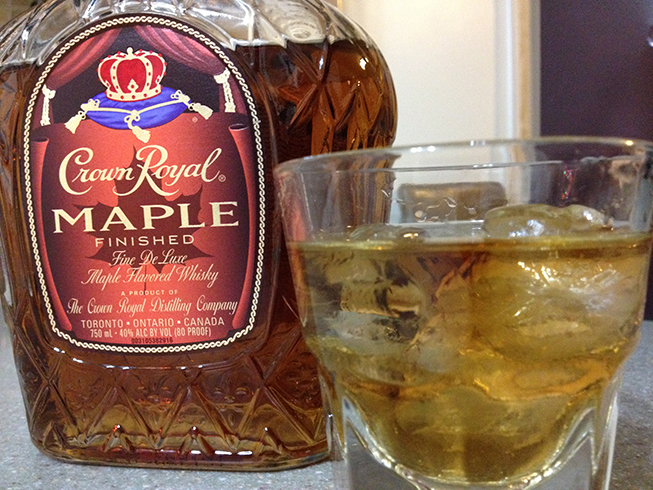 I’m not sure this Maple Crown can be mixed with anything like cola or anything with sugar in it. It would be an overload of sweetness. Instead, it was served in a small rocks glass over ice – on the rocks. Given time to be a little diluted, it went down really nice. The sweet was more palatable and not a severe. You didn’t feel like you were drinking a schnapps or liqueur. And in the course of a few hours, between three males in their late 40’s, this fifth of flavored whisky was polished off. I will have to try this again, but only purchase a smaller size – like a pint – and just a single serving in a night, not six or seven. Celebrating World Whiskey Day today. With my go to whiskey/bourbon Bulleit Bourbon.